It’s getting colder and it seems that we need something warmer for feeling cozy and comfortable. 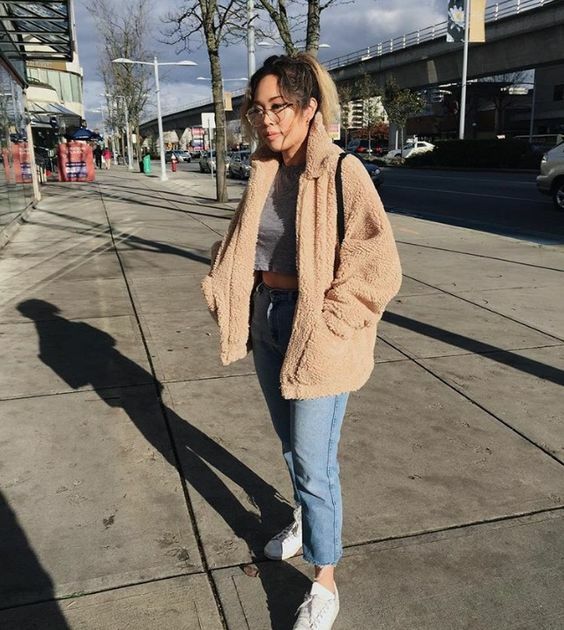 Take some faux fur and you’ll get a trendy look! Faux fur waistcoats, scarves, coats, boots are welcome to keep you warm. 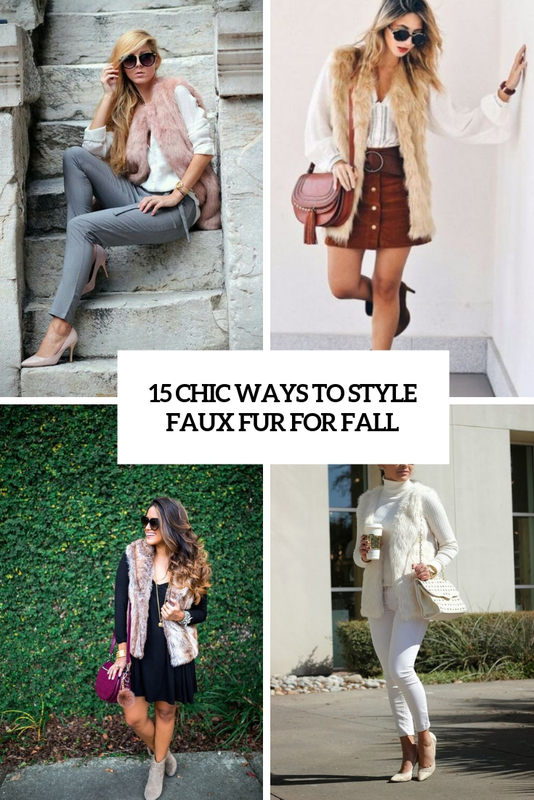 I’ve prepared various options to wear faux fur with fall outfits, take a look to get some inspiration. 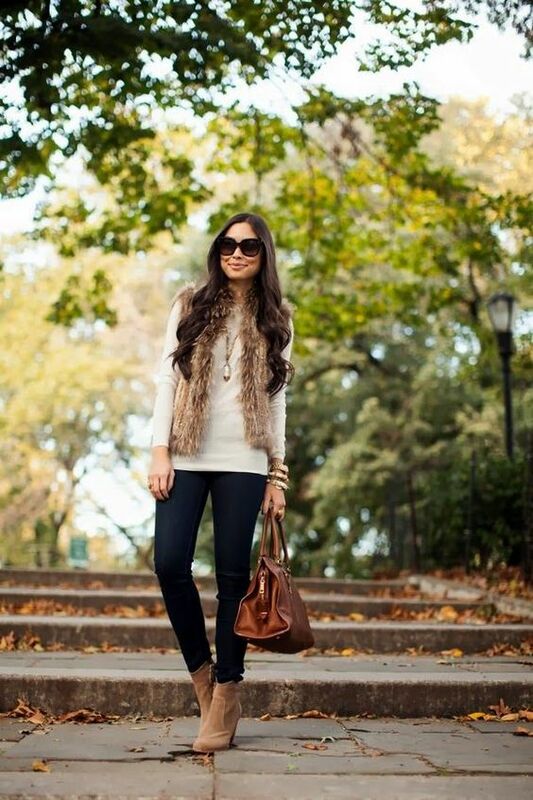 Put on your favorite summer dress and add a faux fur waistcoat, put on booties or heels and take a comfy bag. Go for a velvet dress and a fur scarf plus booties for a party. Wear a denim skirt of any color, a tee and a faux fur vest, add boots and you are ready to go! Wear your favorite jumpsuit with a faux fur waistcoat, booties or heels and a bag to work or to a party. 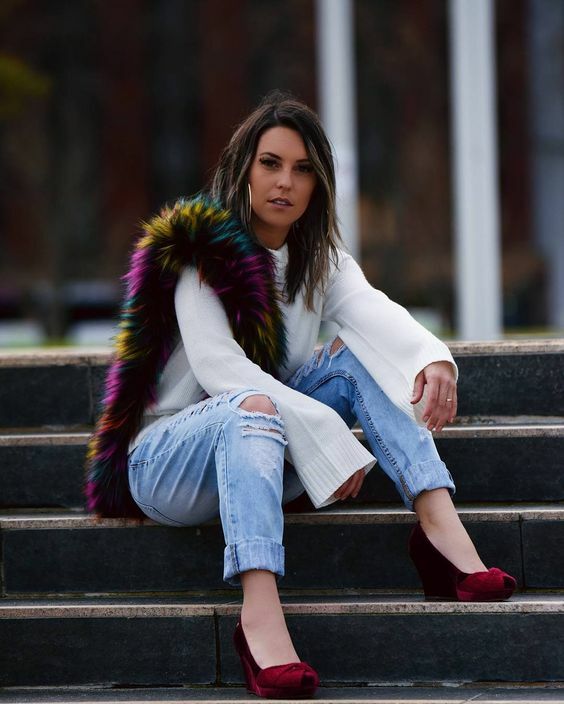 Style cropped jeans, a long sleeve top or shirt with a faux fur waistcoat, you may put it on a leather jacket or a sweater.